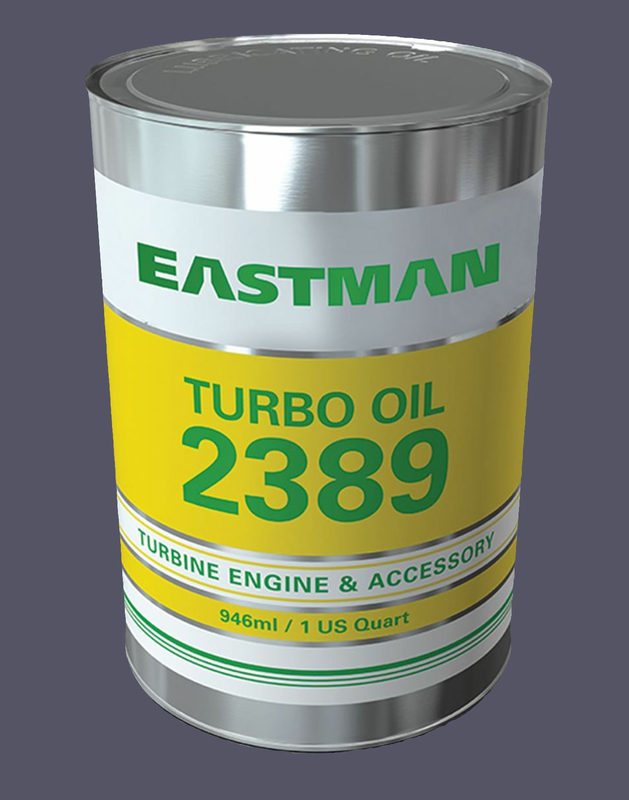 Eastman Turbo Oil 2389 is a low viscosity gas turbine oil, offering exceptional cold-start capability. Many large commercial airlines use Eastman Turbo Oil 2389 in their auxiliary power units (APUs), because of the reliability it affords this equipment when starting after long, cold-soaks at altitude. BP Turbo Oil 2389 is the only MIL-PRF-7808 Grade 3 qualified oil that is fully approved in all Honeywell and Hamilton Sundstrand APUs. Eastman Turbo Oil 2389 is formulated from synthetic base stocks and advanced technology additives, to provide the combined thermal and oxidation stability properties of commercial Type II lubricants, with the low temperature fluidity characteristics of a 3 centistoke oil. It also has load-carrying ability equal to, or better than, other approved MIL-PRF-7808 Grade 3 oils.